Fantastic work, dear Berenis!!!!! 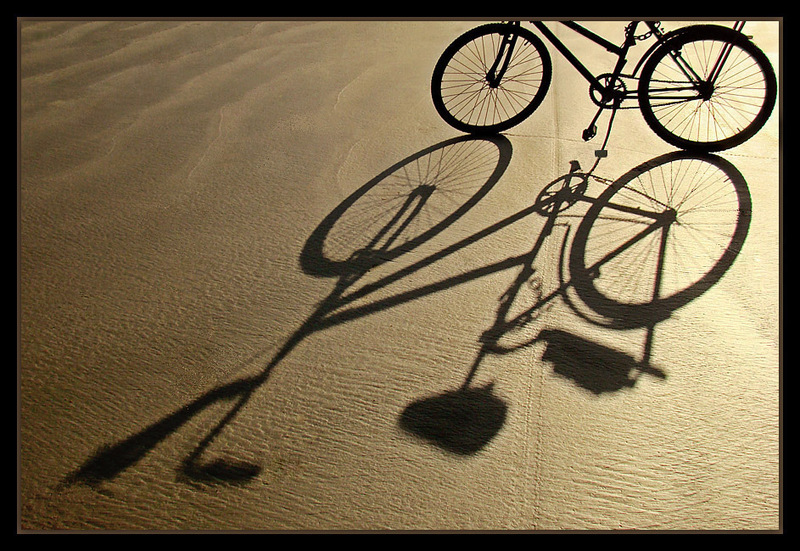 Wonderful shadows, textures of sand, excellent composition... Great! Amazing light and shadows!!!! Great work, Bere! You did a really great job composing this shot. Simplicity turned into high quality work of art. Very nice work. Is this your bike? Geat capture! Light, shadow, and sand tone are a wonder! And its so beautiful, this game between light and shadows! WONDERFUL, my dear Bere! Just a wonderful, Bere!!! Congrats!